When selecting a head, one wants to pair the legs with a head that will not compromise the stiffness of the system as a whole. 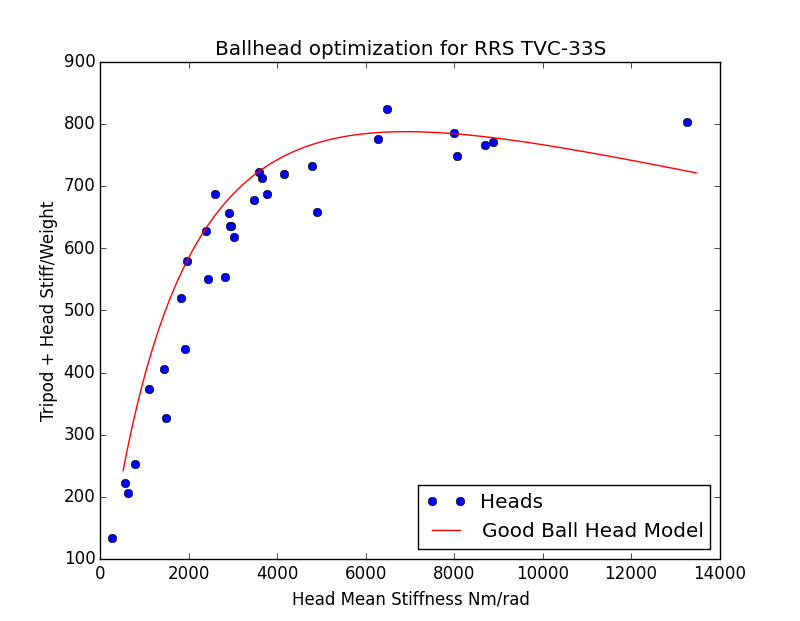 On the other hand, a head that is too big adds diminishing performance increases and just adds weight. This chart is telling us ….